Based in Brooklyn, Eric has been active on the New York City music scene for over 20 years. 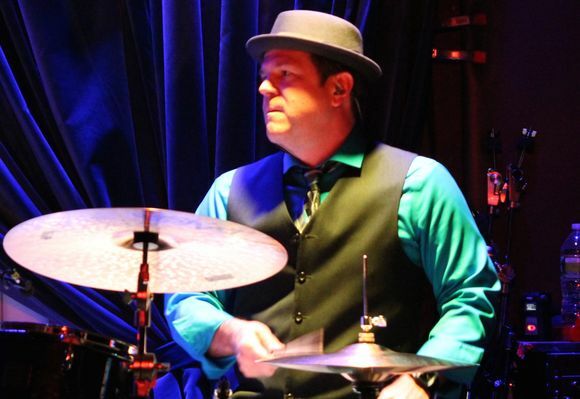 He has performed with such jazz artists as Dave Liebman, Bob Sheppard, John Fedchock, Dave Stryker, Steve Slagle, Vic Juris, Adam Rogers, Joe Locke, Bruce Barth, Marilyn Maye, Fred Hersch, Mark Murphy, James Moody, and Bill Henderson; Broadway stars Sherie Rene Scott and Christine Ebersole; songwriter and pianist Marvin Hamlisch; soul singer Ben E. King; blues artist George Kilby Jr. and the legendary Pinetop Perkins to name a few. He has toured internationally with vocalist Ute Lemper and also works with many big bands including Josh Shneider's 'Love Speaks Orchestra', the Birdland Big Band, the Bill Warfield Repertory Big Band, and the George Gee Big Band. He has performed at New York City's top venues including Lincoln Center, Town Hall, Radio City Music Hall, City Center and jazz venues Iridium, Blue Note, Small's, Smoke and Birdland. Eric is a proud endorser of PAISTE cymbals.